Skin around the eye is more prone to visible signs of intrinsic aging, caused by internal factors such as hormonal shifts and metabolic slow down, can be most evident in this delicate area. Glycation, a major factor of intrinsic aging, occurs when excess sugar molecules bind to collagen and elastin eventually leading to Advanced Glycation End-products (A.G.E.). This is an anti-wrinkle eye cream specifically formulated to help prevent and correct visible signs of glycation around the eyes. An ideal eye cream for dark circles, it is also formulated with optical diffusers that instantly improve radiance of tired, dull eyes. Significant clinical improvement in the appearance of dark circles, puffiness, and wrinkles and crow’s feet. 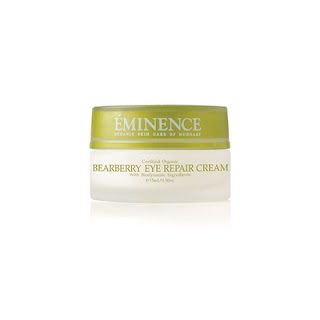 When you apply an eye cream, be extremely gentle-do not rub and do not drag the skin downward. Apply a couple of tiny dabs at the point where your eye hollow starts, then use your little finger to gently smooth these into the skin. 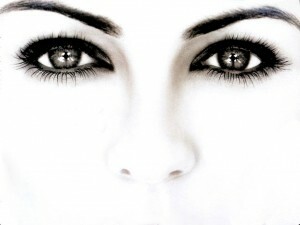 The natural movement of the eyes when you blink, smile or speak will then help it migrate to where it needs to go. Eminence organic Bearberry eye cream. Made with Biodynamic ingredients from Demeter International Certified Biodynamic farms. 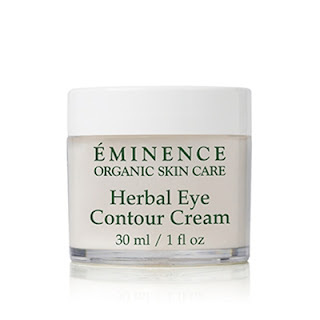 Eminence Organic Herbal eye cream . 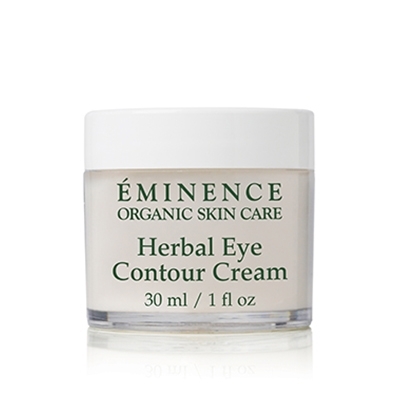 Instantly refresh your eyes with this luxuriously calming eye cream. Jasmine flower petals and St. John’s Wort nourish the delicate eye area, reducing the appearance of fine lines and wrinkles. Soothes delicate skin.